I absolutely love Libby. It has a great selection of books, that I can easily access. Since it connects to your library card, it works just like a public library. I love how all the books are free, since with your library card, you are borrowing the book. You can also renew the book you are reading, and have multiple books at once. 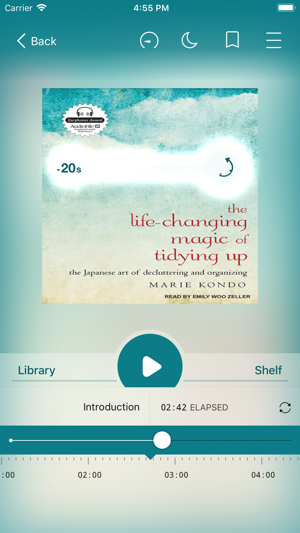 I have never used overdrive, or other reading apps, other than a few books on kindle, but this is my favorite by far. I love how it accesses to your library card, so you do not have to pay for these books. Also, how you can chose how long you are borrowing a book. 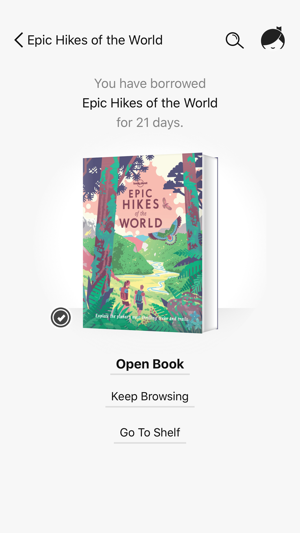 I am a slow reader, so I like how I can borrow a book for 21 days, whereas someone may only want one for 7 days. Also how the app automatically returns your book if you do not finish in the time you have to read it. 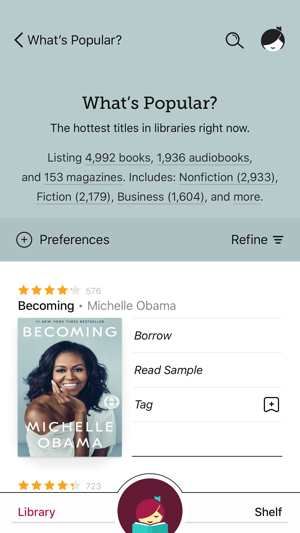 I have an Audio book app, which is great, but does not have nearly the book selection as Libby. There are many features that help the experience become amazing, and currently, I spend more of my time on Libby than on my other apps. 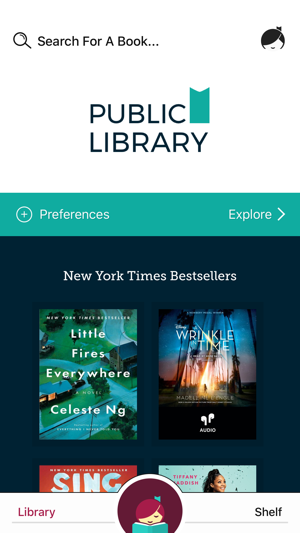 I have heard other apps that are great, but I have not gotten them, since I love Libby, and love how it connects to my library card at my branch, and lets me borrow books for free. I must say that this is my first review, so I may not of covered many things, but I have nothing but positive to say about Libby, I just needed to share what I think about Libby. 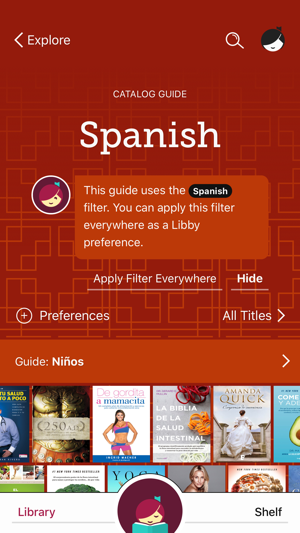 Pros: My reading has skyrocketed since using this app—Libby makes books so accessible, especially since I have a busy schedule and hard time stopping by the library. 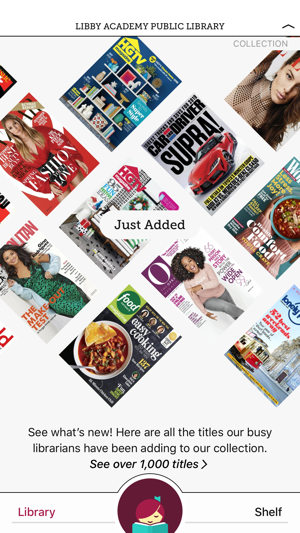 I have saved SO much money by using Libby, and have tried out more genres than I normally do, since you don’t waste a trip to the library getting a new book: simply tap to download and tap to return if you don’t like it. The waitlist system is very clear, browsing is easy, and a sizable catalog make this very much worth it. Cons: Libby loses one star for some basic syncing and history issues. If I delete Libby off my device (sometimes I get rid of it when I’m busy and I don’t want to be tempted with a quick read! ), when I redownload it, I lose all history of what books I’ve previously checked out and read. When you tag books, eg “To Read”, these tags are NOT synced across devices. I now have a motley “To Read” list spread across my phone and iPad. Likewise, these lists are lost if you remove the app off your local device. I’ve emailed Libby twice to request these be synced across devices and no luck yet. 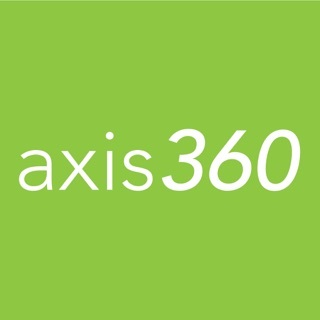 I’ve only browsed one ebook sample but have listened to several audiobooks and the interface is leaps and bounds better than Hoopla and OverDrive. 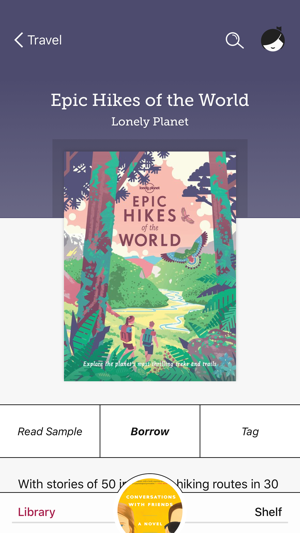 Pros: The book layout is great (Hoopla doesn’t even do landscape or two page mode🤬). As a whole, the Libby interface puts books at your fingertips quickly and offers a sleek & modern yet minimalist design that appeals to the eyes. The sort/refine/preferences works well although an ability to sort series by order in the series both ascending and descending is missing. 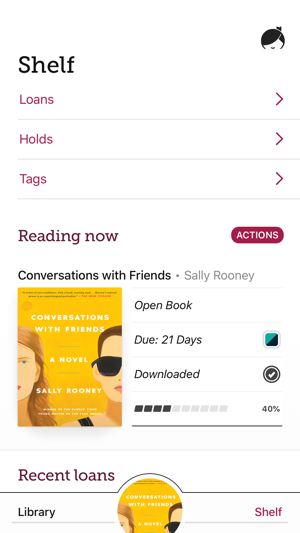 The ability to sync Libby across multiple devices is FANTASTIC (again, looking at you Hoopla) and saves the hassle of logging in on each device and manually downloading each book (again, Hoopla, sup?). 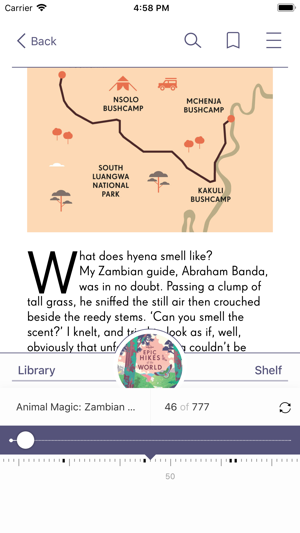 The audio/book sample feature (Hoopla comeon!) is conveniently placed, as is the book sample, review, and jacket information.